Behind one of the most celebrated military branches in America are the often little-known actions of its brave warriors. Proud to be a Marine amplifies the human voices amidst the cannon blasts and gun fire — from the American Revolution to modern day — and provides fresh insight that will inspire and excite those interested in the proud legacy of the Marines . 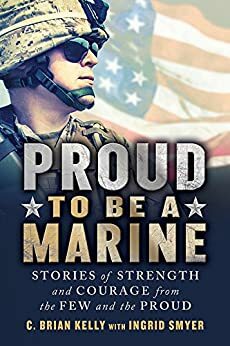 . .
From the shores of Tripoli to the careful action against deadly IEDs in the Middle East, the anecdotal back stories of these upstanding Marines are proof they have always been ready, and always the "First to Fight."